Animal Wildlife | King Penguin | The king penguin is the second largest species of penguin in the world, with adult king penguins growing to nearly a metre in height. 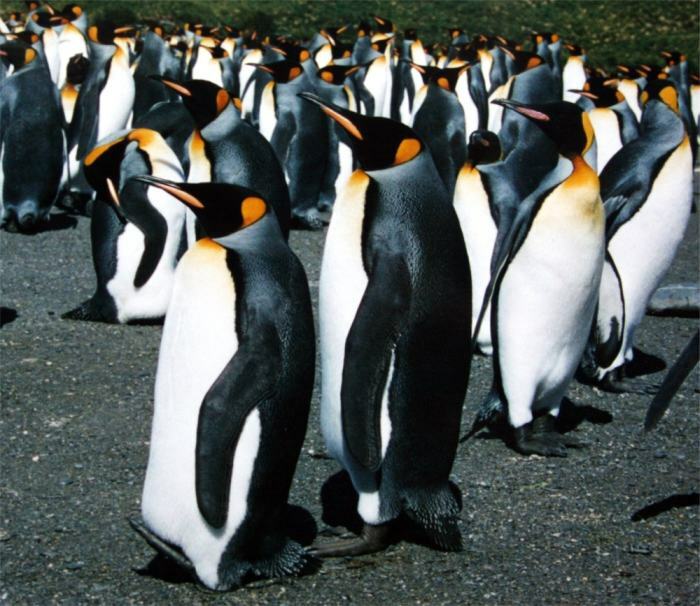 There are two recognised sub-species of the king penguin found throughout the sub-Antarctic, with more than 2 million breeding pairs thought to be dotted across the rocky islands (a number which appears to be increasing). 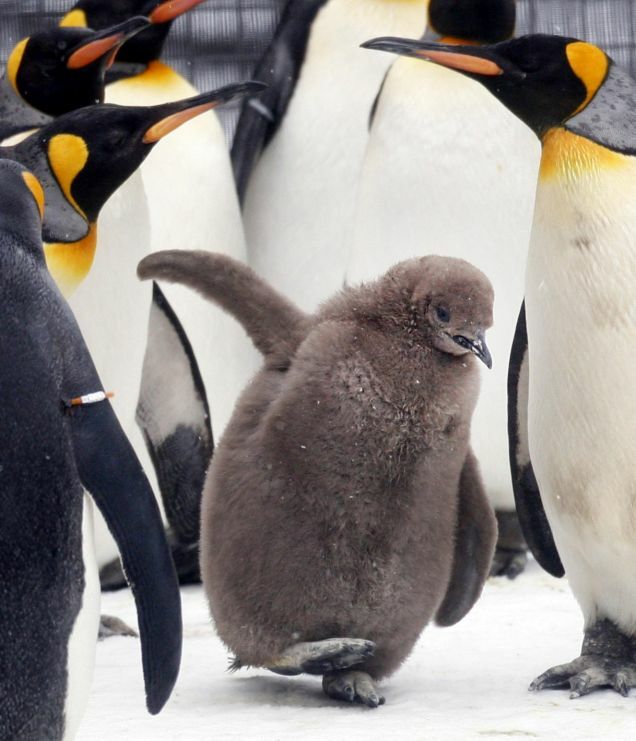 The king penguin is found inhabiting the rocky islands in parts of the Antarctic Ocean, with the geographical location being one of the main differences between the two king penguin sub-species. 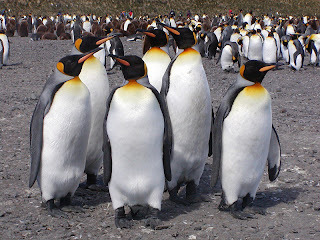 King Penguins breed on the sub-Antarctic islands, at the northern reaches of Antarctica, as well as around the Falkland Islands, and other temperate islands of the region. The king penguin is one of the most elegant of all penguin species as it's long and slender body helps the king penguin to glide through the water with great ease. 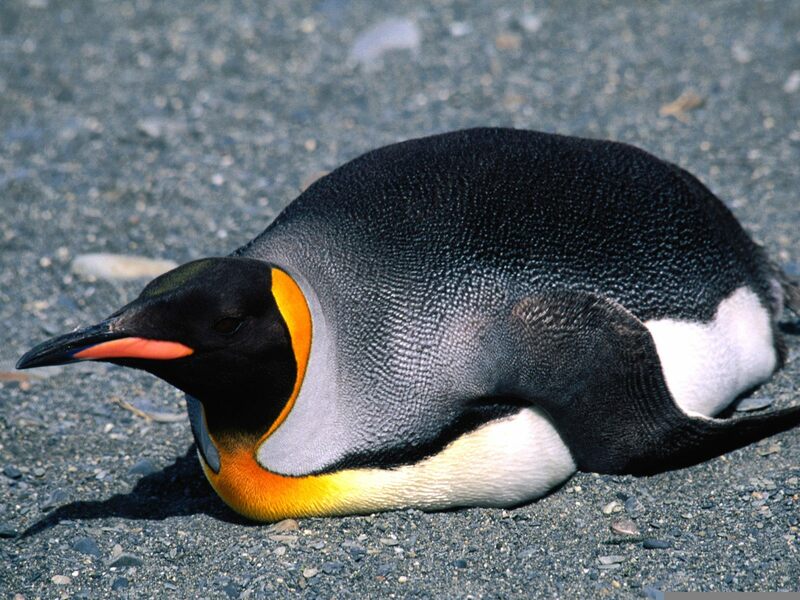 The bright-yellow markings on the head and neck of the king penguin are characteristic of this penguin species. King penguins have adapted well to the extreme living conditions of the Antarctic and, to keep warm, the king penguin has four layers of feathering. King Penguins have 70 feathers per every square inch. The outer layer of feathers are oiled and waterproof, and the inner three layers are down feathers, which act as very effective insulation as the bitter cold. The king penguin is a carnivorous animal, that like all other penguin species, survives on a diet that is only comprised of marine animals. Krill and small crustaceans make up the bulk of the king penguin's diet along with larger organisms including squid and various species of fish. Due to the fact that they inhabit quite uncompromising regions, king penguins have no natural land-based predators. However, larger marine animals that also inhabit the freezing waters of the Antarctic Ocean will prey on these water-based birds, with leopard seals, sharks, humans and killer whales being the main predators of the king penguin. On average, the king penguin breeds once a year, forming pairs that usually remain faithful to one another. The female king penguin lays two eggs which are incubated by both parents for about two months, when only one of the eggs will usually hatch. The king penguin chicks are fed and kept warm by their parents and remain with them until the chicks are about a year old. 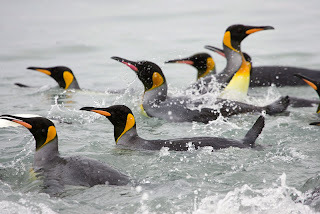 Today, the king penguin populations in the sub-Antarctic Oceans appear to be thriving and better still increasing in numbers with more than two million breeding pairs of king penguins found around the freezing waters. 0 Response to "King Penguin"